The funny thing about customer service is that at some places you expect great customer service. However, at other places you would absolutely expect that they had never even heard of the concept of customer service. In fact, they don’t even look at those entering the doors as customers. Quite possibly, when the door opens they are only reminded of more work. “When is quitting time?” they say. They watch the clock no later than an hour into their eight-hour shift. This is how my next experience begins. Last fall I went to the local governmental office of motor vehicles to renew my spouses registration on her vehicle. You guessed it, the line was as long as this year’s new roller coaster at Cedar Point. I mean crazy long. The problem was, I didn’t have anyone to talk to, there were no drink stations, and nobody brought a beach ball to toss around. 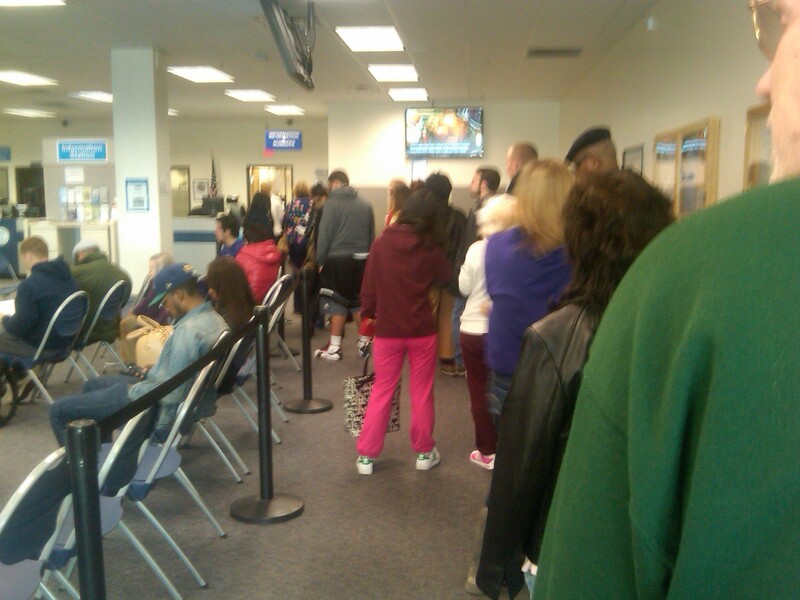 If you have never went to the DMV, believe me, you will easily wait an hour to get a solution to your problem. Today was no different for me. There was however a great story to tell. The gentleman that was in front of me was at least a little disabled. He needed the assistance of a cane to walk. I remember thinking to myself, he shouldn’t have to wait in this long line when he has trouble standing. Oddly enough, just minutes after I had the thought. One of the workers came from behind the counter straight over to the gentleman in front of me and took him directly to her window so he wouldn’t have to wait. I was totally astonished. I have never seen anything like that in any governmental office. Usually, they would see a line and instead of working the line down, two or three of the windows close so the employees can go to lunch. It almost seems like government employees could care less about taking care of customers. However, in this instance, the employee took the initiative to help this man because he would experience major discomfort by standing in this long line. She treated him in the manner that reasonable human beings should treat each other. This was a great example of doing the right thing even though there were a number of people who would’ve been serviced before him in a first come first served model. If this were my father or grandfather I would hope someone would have the common decency to give him the same service. The greatest point of the whole experience was that I didn’t hear any of the others around me grumble one bit. EXCELLENT!!! ← Table for Two? or maybe THREE!